As you produce more content using an inbound strategy, the goal is to convert targets to leads (i.e. get targets’ contact information into your database). 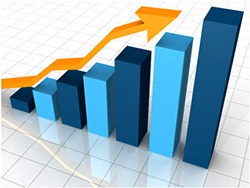 Therefore, a key metric for measuring success is the size and growth of your contact database. In particular, you want to segment this by persona to ensure that you are engaging with people that match the target criteria to actually become a customer. If only other industry vendors are downloading your content, that might be a problem! Of the people who land on your demo request page, how many actually fill out the form and “convert” to MQLs? This is a critical number to track so your team can constantly tweak the demo request page to optimize for conversion. Simple adjustments like changing the copy or colors can make a big impact. Of the MQLs being created, how many are actually entering the sales pipeline? Sometimes a lead will fill out the demo request form but not actually be ready, willing and able to become a customer, thus they are not actually “sales qualified.” We need to optimize marketing to attract the highest-quality leads, those most likely to be sales qualified. Tracking the number of deals that are generated from MQLs is a great place to start. As always, this should be segmented by original source so you can understand which marketing campaigns are driving results. Similar to the metric above, track the number of MQLs that actually convert to customers. If your marketing team is good at generating leads, but those leads never turn into customers, maybe you are generating the wrong type of leads from the wrong persona. The foundation of an inbound marketing strategy is attracting targets to your website to convert them to leads. Therefore, it’s critical to see your web traffic grow. This will happen from search engine optimization, strong email marketing campaigns and quality content. Consistently track how many contacts download your content. This can help you measure which content is the most effective in converting targets to leads and leads to MQLs. It is helpful to segment this metric by top-of-funnel (TOFU) content and middle-of-funnel (MOFU) content to measure the effectiveness of both. Of the visitors who end up on a landing page with a content offer, how many are actually willing to provide their contact information in return for downloading that content? This is another key indicator of how effective your content strategy is and the trust that is built with your targets. Finally, be sure to track email opens and click-through-rate (CTR). This indicates how effective your email campaigns are and allows you to determine which emails and subject lines resonate most strongly with leads.